Mr. Suwat Benjathammathorn, Vice President for Administrative Affairs, STIC said the STIC Sports Day would be officially opened on September 19, 2013. 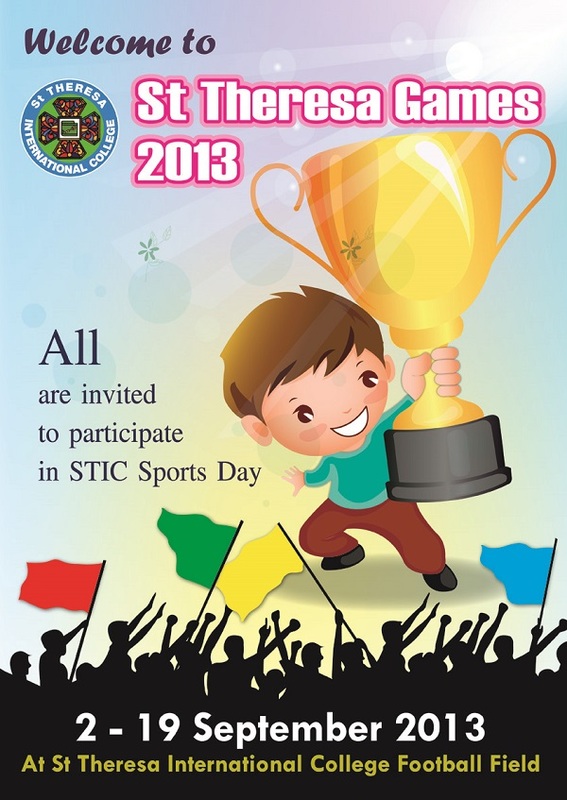 St Theresa International College Sports Day activities, under the new name, “ST Theresa Games 2013 will be bigger and better than ever this year. The games are currently held until September 19, 2013. There is a variety of 15 sporting events, both field and track. The Games include football, basketball, volleyball, beach volley ball, sepak takraw, petanque and local games (tug-of-war, running, relay race and so on). There will be also contests for the most beautiful parade, best cheering team, and best cheering leaders during the games held on September 19 at the STIC sports field and stadium. All STIC lecturers, staff and students are categorized into four groups of colors from Blue, Green, Yellow, and Red for the sports games or competitions.